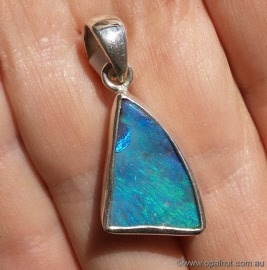 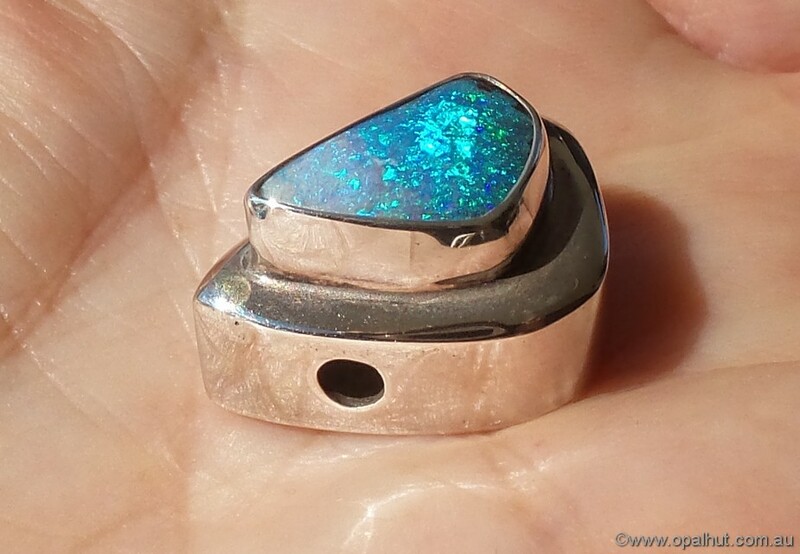 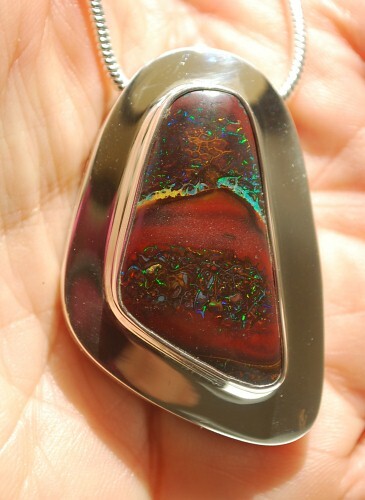 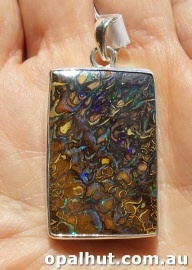 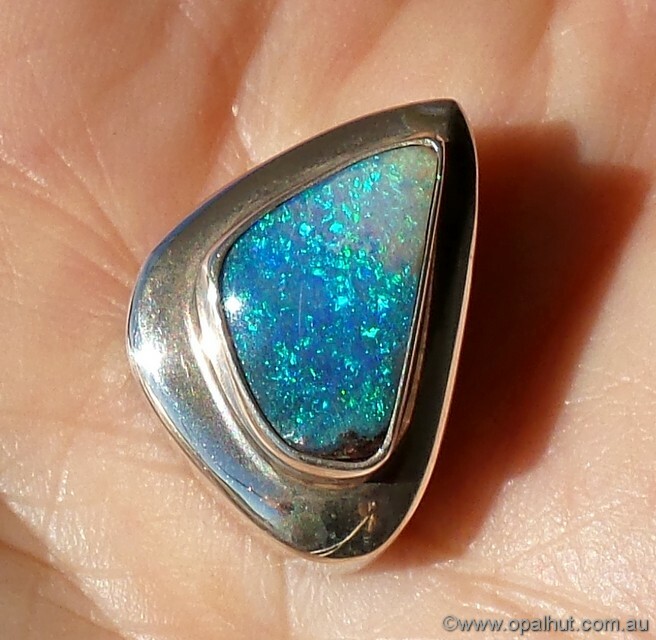 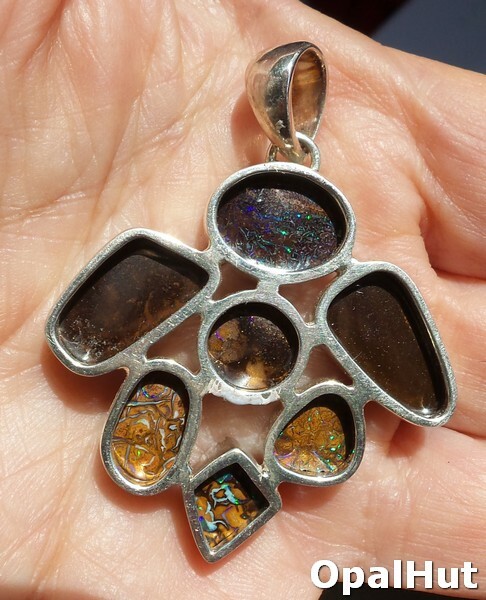 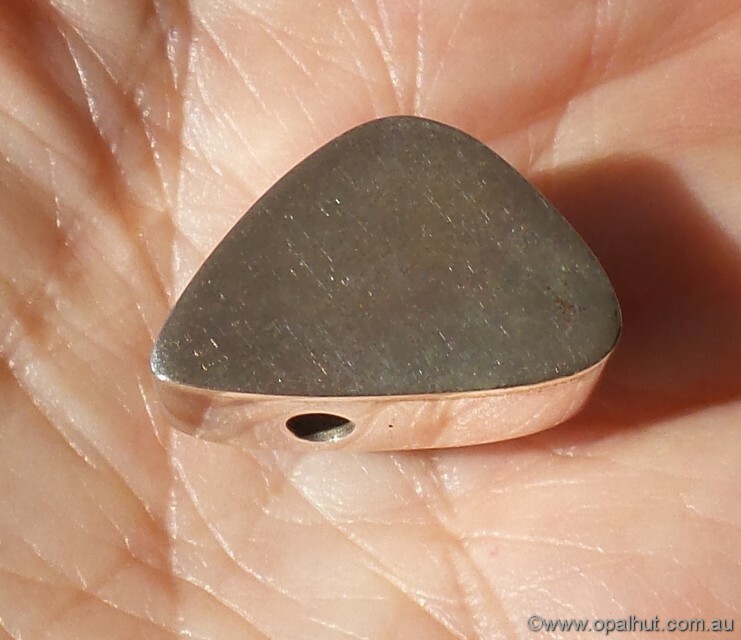 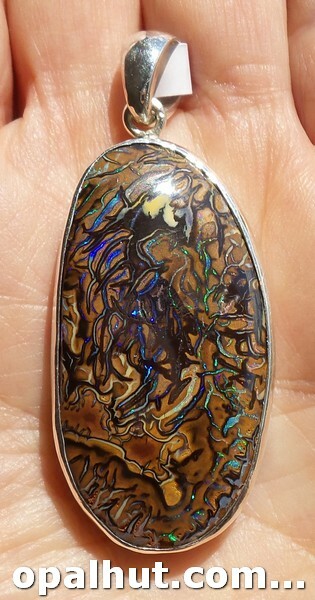 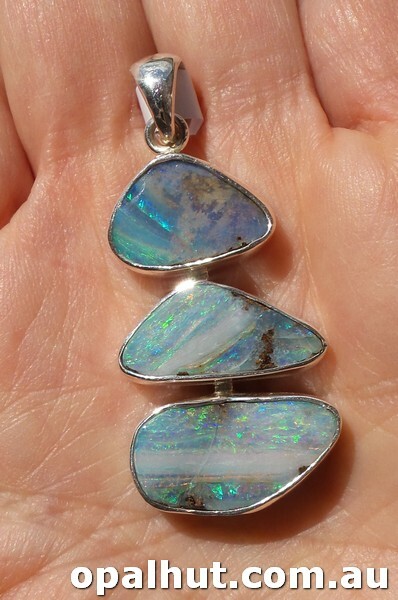 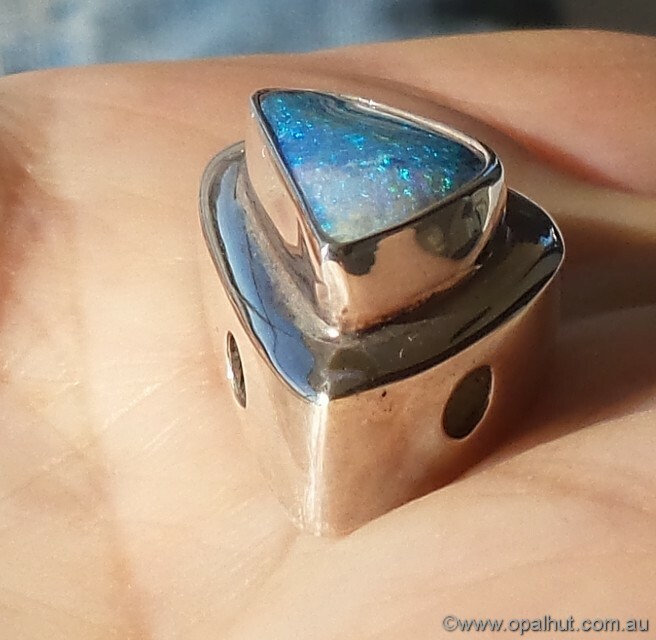 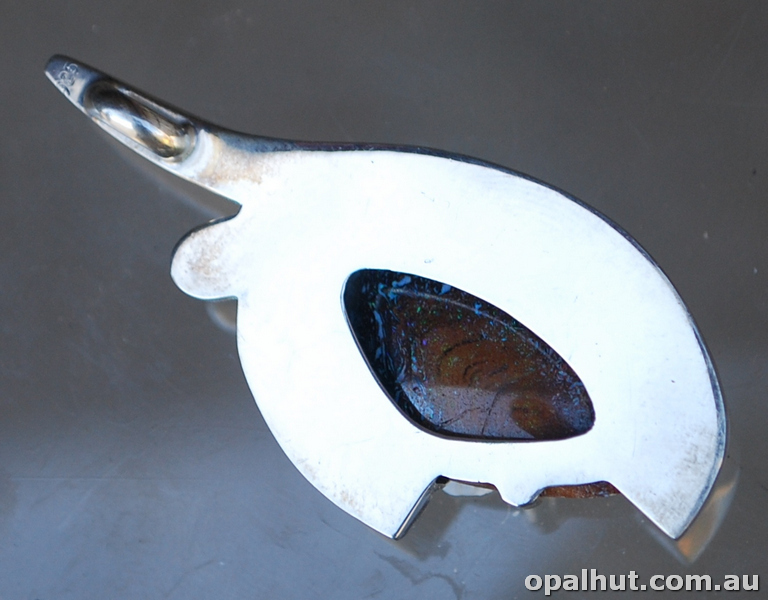 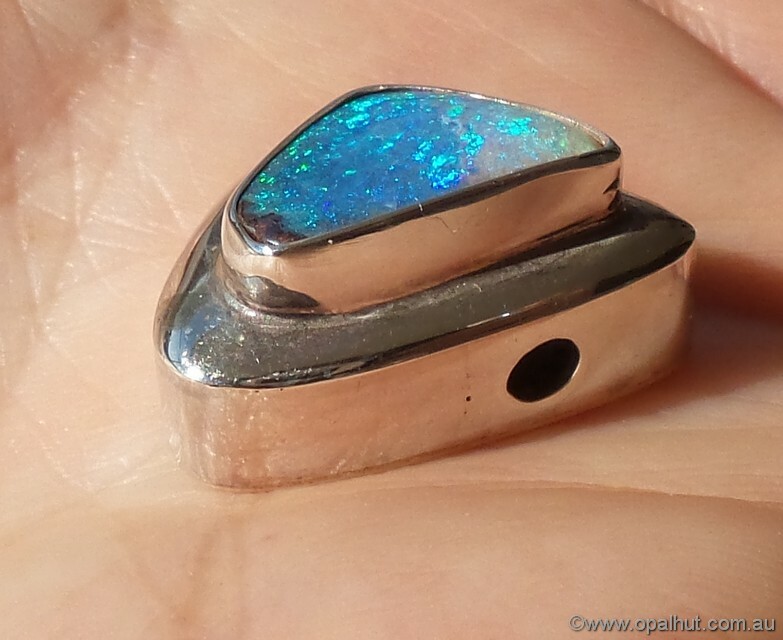 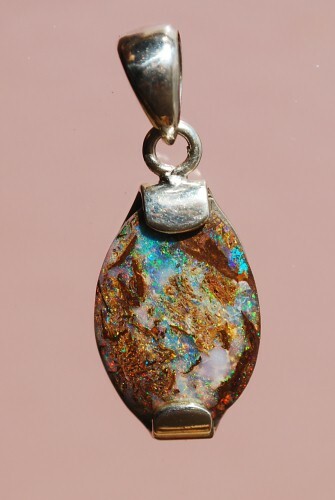 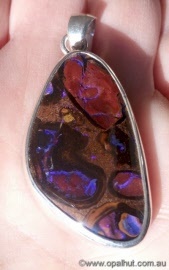 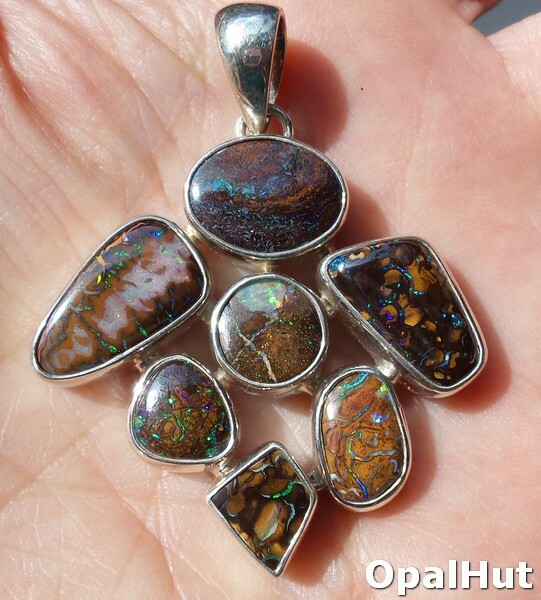 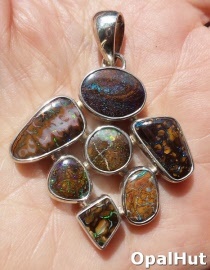 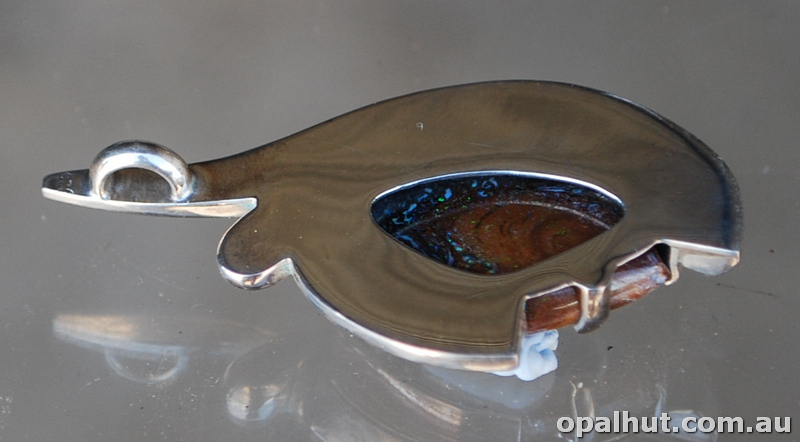 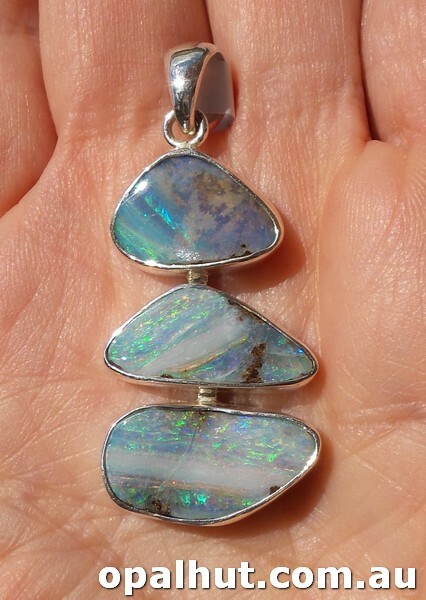 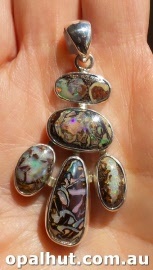 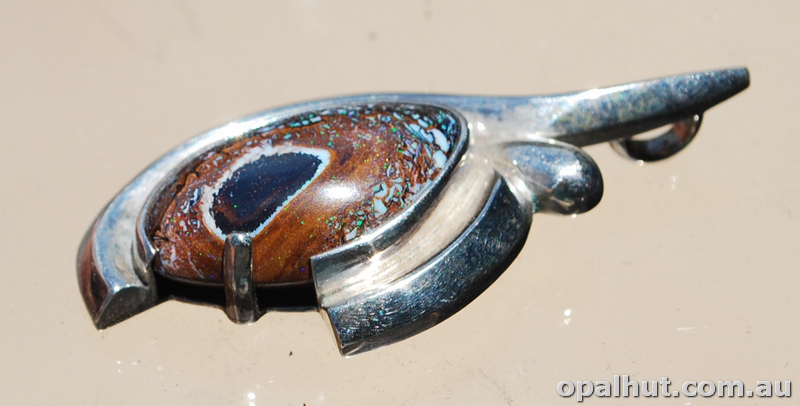 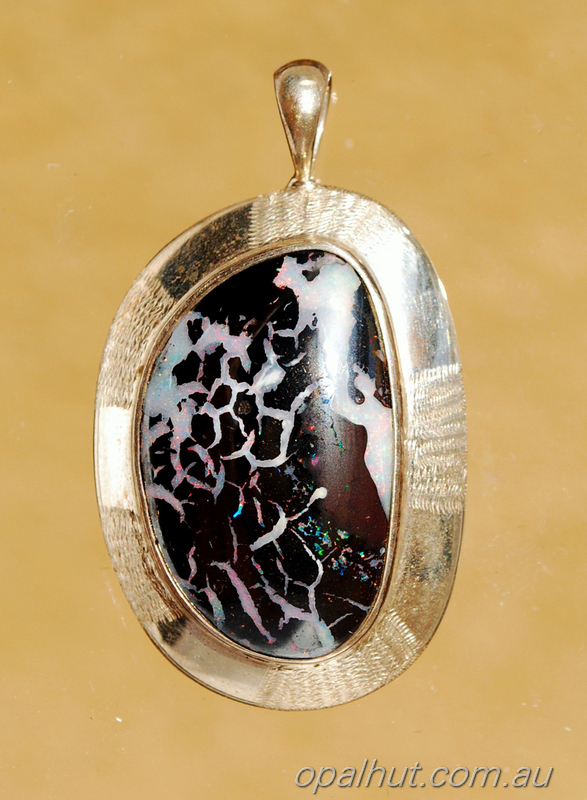 Flashing Yowah matrix opal sterling silver pendant. 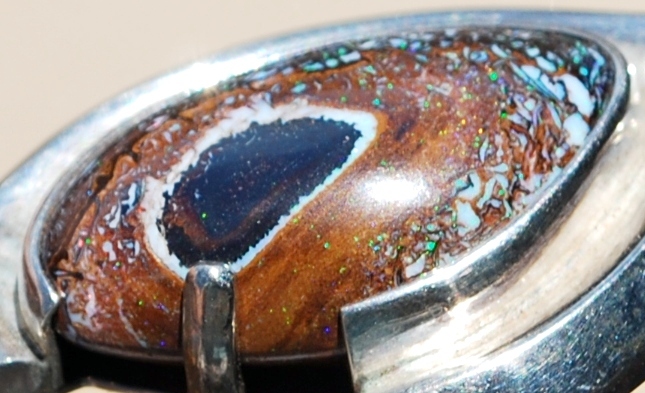 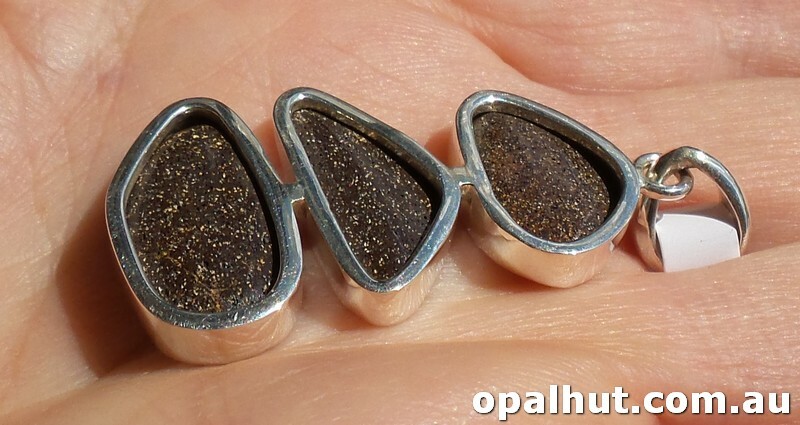 Multitoned brown Koroit Boulder with blue green opalised wood fossil. 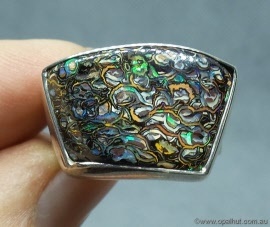 Potch and sparkling opal patterns in ironstone. 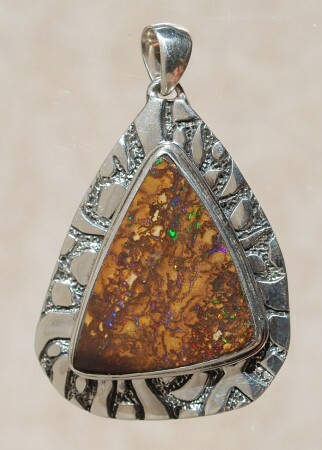 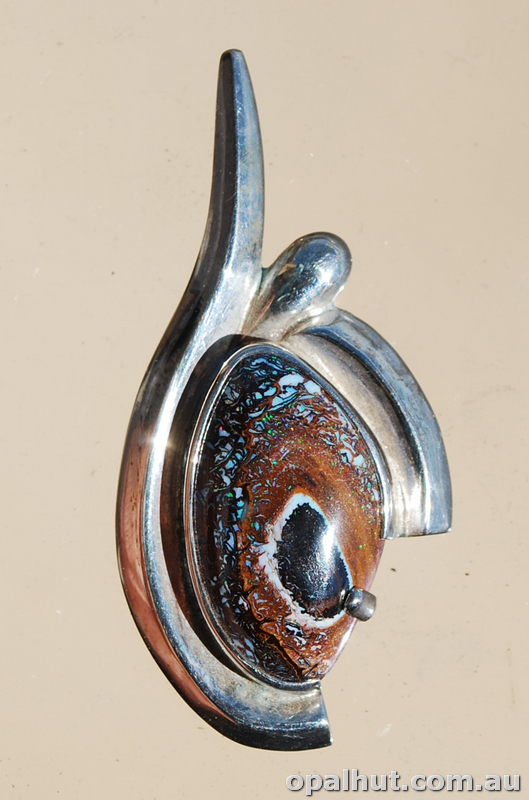 Desert scene yowah opal and sterling silver pendant. 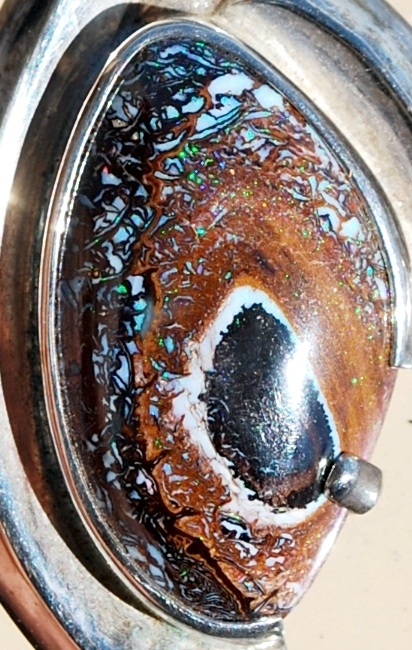 Pretty potch patterns with pink and green highlights in dark ironstone.